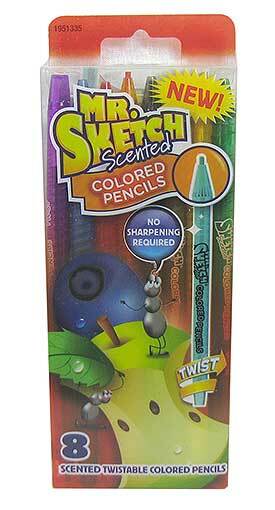 Take your doodling up a notch with this (8)-pack of mechanical colored pencils with scented leads. 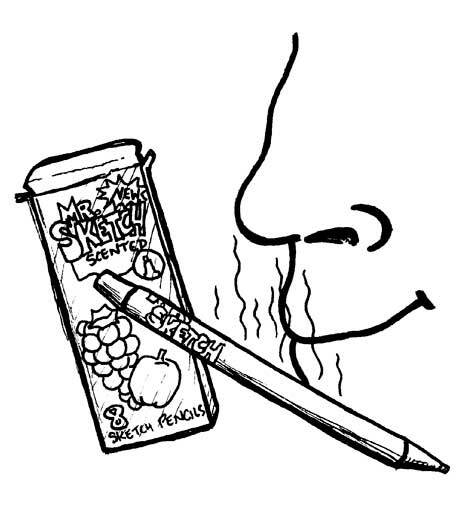 The 5-1/2” leads mean you don’t need a pencil sharpener, and you can draw right through long meetings. The lead colors match the aromas, with cherry, orange, buttery popcorn, blueberry, grape, black raspberry, cinnamon and evergreen. Leads are 2mm in diameter. Maybe a little eclectic for an artist with a single style, but perfect for one who's still searching for himself. Or for any hobbyist. 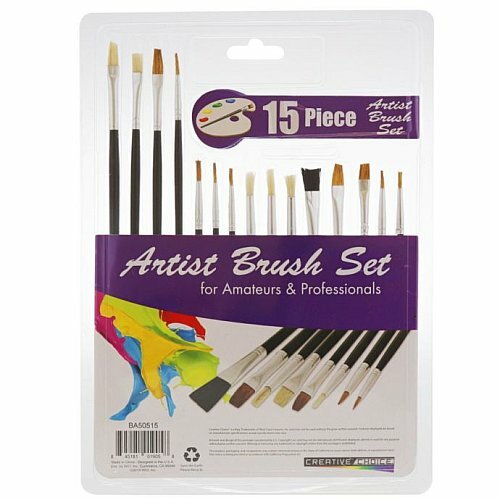 There are no (2) brushes exactly alike in this set of (15). 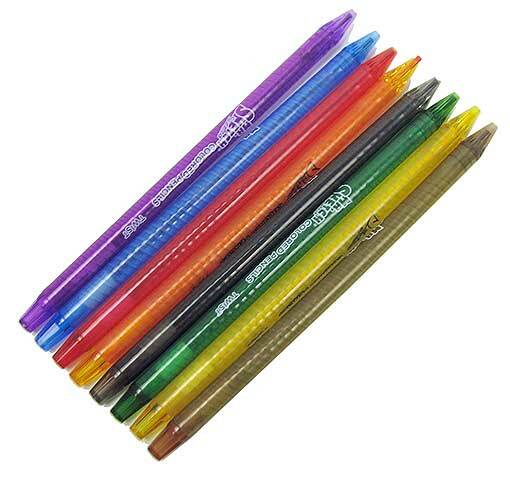 They all have natural bristles, color-coded wooden handles and metal ferrules, but they range from fairly fine to 1/2" wide, and 7" to 10" long. 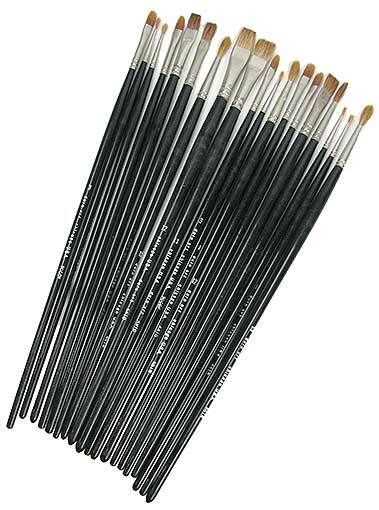 There are at least (3) different kinds of bristles, and they are round, blunt and pointed. A nice variety, and a very nice quality for this price. And you can’t lose. Really. Five bucks buys you (4) good quality artists’ paint brushes, 5” to 12” in length, from an extremely assorted collection. You’ll get sable, nylon, ox hair or camel hair, long or short, very fine to very wide, round to flat, in sizes from very fine to very wide, all from Duro Art Industries in Chicago. Gives you something to look forward to. This clever little artist's brush holder/cleaner will keep those oil or watercolor brushes standing up (or down) straight with their little heads under water or paint thinner, clean and un-bent until you need them. 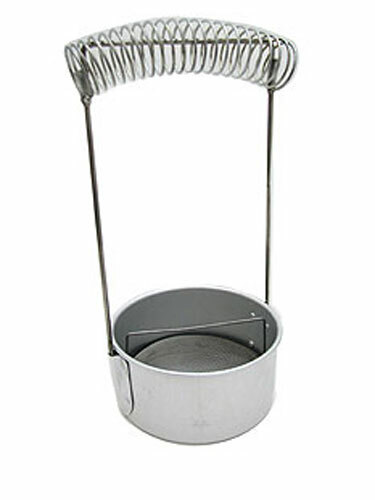 A 4" dia x 2" deep aluminum cup is topped by a 6" tall U-shaped handle with a brush-holding spring across the top. Inside the cup is a mesh screen (with its own handle) for to clean the paint off and let it settle to the bottom, away from the bristles. The handle is removable for storage or travel. Anything and everything you coat with this ultraviolet reactive paint. 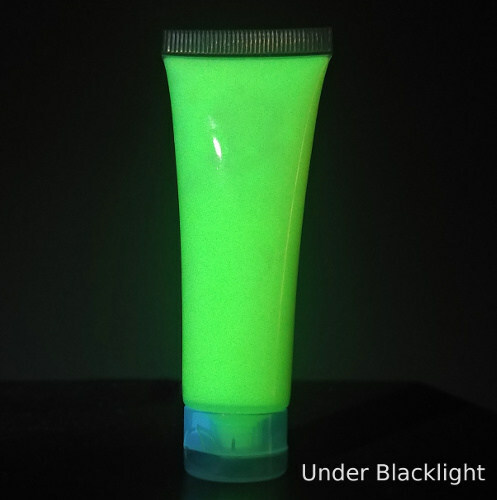 Comes in a squeezable tube containing 1-fluid ounce, and we'll send you (2) tubes, because you're ready to make something snazzy and easy to find in the dark. Inanimate objects only, please. First you squeeze, then you paint. 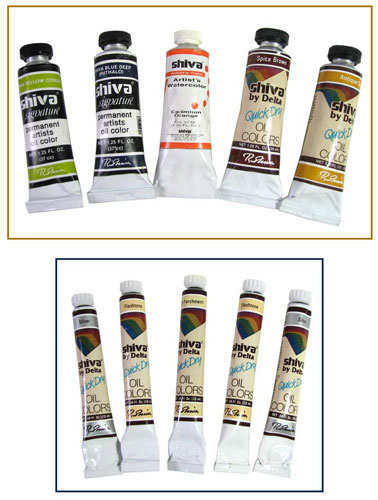 We'll pick (5) different colors from our staggeringly large selection of Shiva by Delta artists' oil paints, all with lovely names including colonial blue, Quaker gray, Norsk blue, palomino, red iron oxide, adobe, walnut, phthalo, silver, hammered iron and a bunch more. More gators than a University of Florida homecoming. 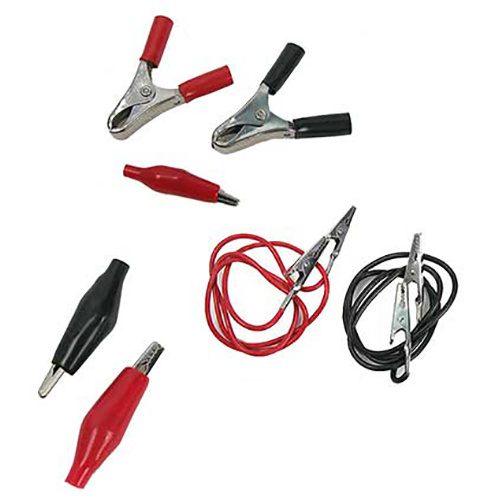 Scroll on down and select from: our 6-piece assortment of 2” electrical clips including (2) each of insulated pliers-type alligator clips, regular insulated alligator clips and booted alligator clips in red and black; our 4-pack of insulated 2-1/4” pliers-type alligator clips rated for up to 10A with 3/8” wide jaws and crimped ends in black and red; our 29” red and black test leads with open alligator clips at the ends; or our 6-pack of plated 1-1/2” alligator test clips, half red and half black, with crimped ends. Washable, non-toxic water-color poster paint. Can you say kid-safe? How about furniture-safe, too? That’s what the bottle says. In 2-oz squeeze bottles. You pick the regular water-color paint, and we’ll send you (3) different colors from our selection of white, green, blue, black, yellow or red; or pick the extra-fancy glitter-infused paints, and again you’ll get (3) different colors: purple, silver, green, blue, red or yellow. 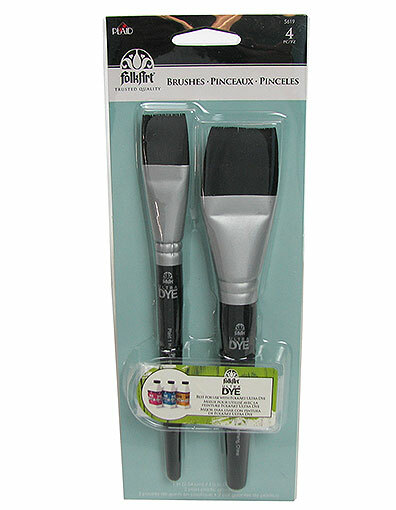 The FolkArt® company calls these Dye Brushes for, yes, applying dye or creating blended or ombre effects (think shading). Feel free to use them for whatever, because it’s a free country. One is 8” long with 7/8” wide bristles and the other is 7-1/2” long with approx 1-1/4” wide bristles--both nylon. 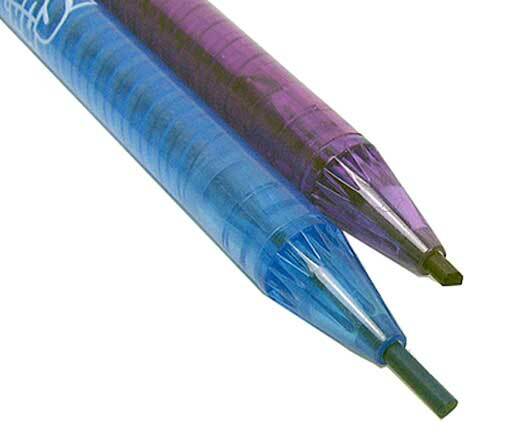 Includes a pair a thin plastic gloves, so you don’t dye your fingers. Got A Pot To Paint In? We’ve got your paint pots right here. You pick from the acrylic paint sets from Testors™. 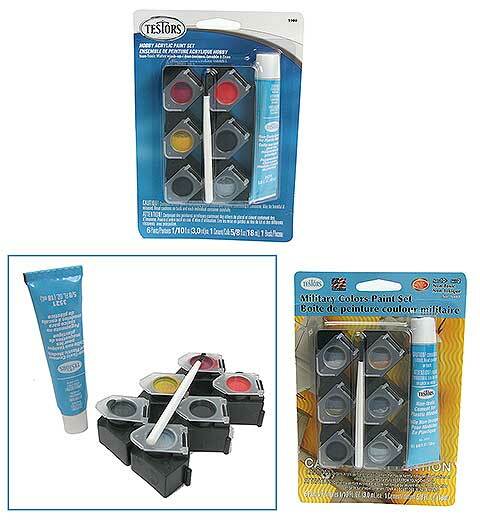 The Hobby Set comes with (6) 0.1-oz pots of paint in Stoplight Red, Turn-Signal Amber, flat and gloss black, Engine Red, and silver, plus an applicator brush and a tube of model cement. The Military Set comes with (6) 0.1-oz pots of paint in Neutral Gray, Olive Drab, flat black, dark tan, Gunship Gray and silver, plus an applicator brush and a tube of model cement.